CINCINNATI -- It was a simple thank you for a job well done, 66 years and 6,600 miles in the making. 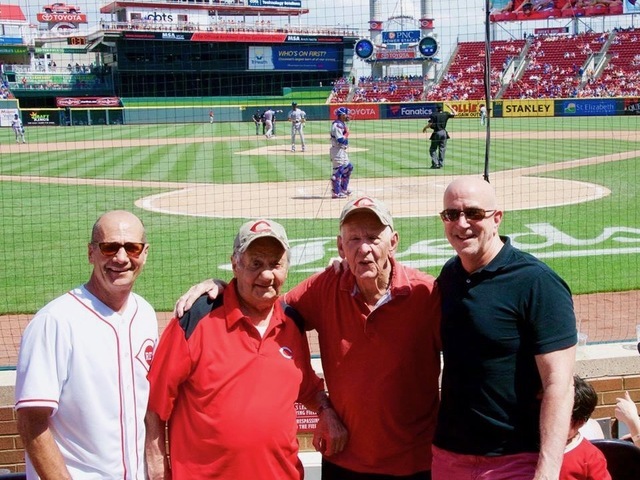 Art Panfill and Frank Perrino got a standing ovation at a Cincinnati Reds game May 20, just a few hours after they met for the first time since ending their Korean War military service in 1952. Frank’s son, Andy Perrino, arranged the reunion with Michael Schuster, Panfill’s son-in-law and founder of MSA Architects. 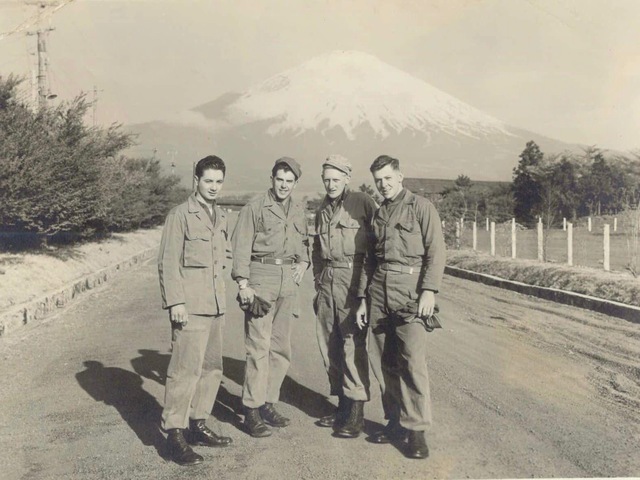 Andy Perrino said the experience brought back some proud memories for his 90-year-old father, who served with Panfill in a U.S. Army camp at the base of Japan’s Mt Fuji. In many ways, the reunion was unremarkable. The Reds’ Hometown Heroes program honors military veterans at every home game. Panfill and Perrino are hardly the first veterans to lose touch with each other in the decades following their service. But there is a unique element to the story that highlights the few degrees of separation that seem to connect all Cincinnatians, even those who aren’t from here. Panfill was raised in Cleveland. That’s where he returned after serving the Army as a supply officer in Japan. He quickly found work in a steel mill, like his father. But six months in, Panfill got laid off. Panfill had already started a family that would ultimately grow to four kids, six grandchildren and four great grandchildren. So, he knew $42 a week in unemployment benefits wouldn’t last long. 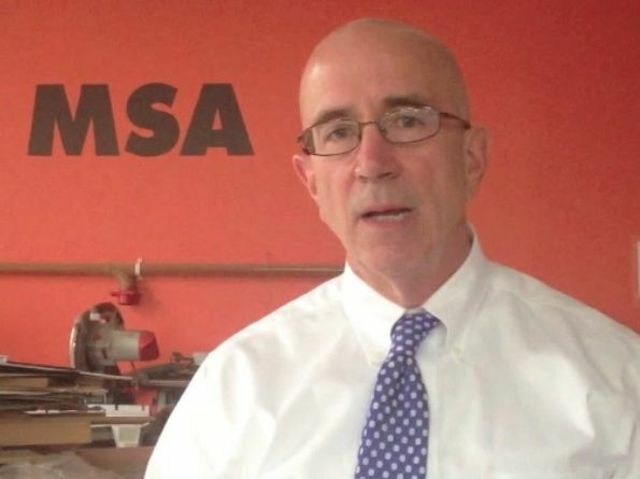 His next job led to a 27-year career selling insurance door to door in the Cleveland area for Cincinnati’s Western & Southern Life Insurance Co. Panfill’s daughter, Michelle, attended the University of Cincinnati, where she met and later married Schuster. Panfill relocated to Maineville about 12 years ago to be closer to his daughter’s family. During the war, Perrino was in charge of establishing radio communications between Japan and Korea. His work impressed his superiors enough that they submitted paperwork to promote him to lieutenant. But the war ended before the promotion was approved and Perrino left the Army as a corporal. After the war, Perrino spent 38 years at General Electric Co., running a laboratory that tested jet engines for vibration tolerance. Away from work, he raised seven children, coached baseball, served as president of the White Oak Athletic Association and played the role of Fiorello LaGuardia in a community theater interpretation of the 1960 Broadway musical, Fiorello! Although he didn’t talk a lot about his military service, Andy Perrino knew it was of “deep importance to my father.” So, when Schuster contacted him last Christmas about reconnecting the old soldiers, they quickly resolved to make it happen. It was an old photo that initially sparked the idea. The faded black-and-white image shows four men in uniform, standing in the middle of a dirt road with Mt. Fuji in the background. Frank Perrino is on the far left, Panfill on the right. Moments before their reunion, Panfill shared the photo with WCPO and struggled to explain how he lost touch with Perrino. But Panfill said he often thought of his Army buddies over the years. He showed Schuster the picture at Christmas and wondered if Perrino might still be living in Cincinnati. Schuster immediately recognized the name. “We’ve known each other probably 10 years now,” said Andy Perrino, a triathlete who has biked with Schuster in the past. Great American Ball Park is another common thread. Schuster, a rabid Reds fan who closes his office on Opening Day, designed many of the Reds’ interior spaces. Perrino, who owns Perrino Landscape Inc. in Linwood, helped his friend Joe Motz install the turf at GABP. That turf is now the background for a new photo featuring Korean War buddies Frank Perrino and Art Panfill, just a few Cincinnati connections and 6,595 miles away from the Mt. Fuji photo they shared 66 years ago. “There was just a very short time when there was no snow on that mountain,” Frank Perrino observed as Panfill showed him the picture. As each old photo brought back a trickle of old memories, the sons gained a small measure of satisfaction for a job done well. “I’m hearing from my brothers and sisters, ‘Wow. Dad was really excited,’” Perrino said.